This groundbreaking book introduces a unique approach to spirituality called meditative fitness. Showing you how to integrate meditation into your fitness routine, Meditative Fitness: The Art and Practice of the Workout can be described as a workout book with timeless spiritual truths. But it isn't just about going to the gym! 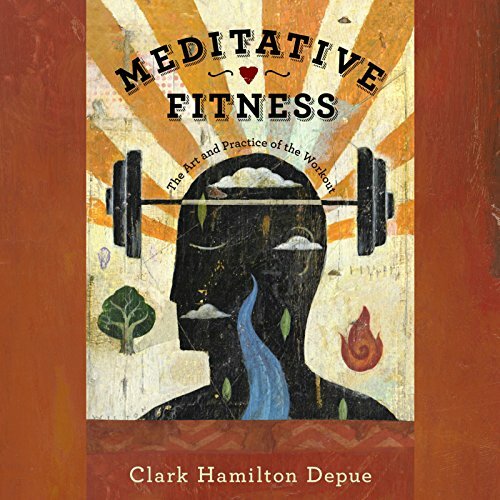 Offering his own inspiring story of personal transformation, author Clark Hamilton Depue illustrates how a meditative fitness practice can take you to new levels of happiness, awakening, and enlightenment. His stories are interwoven with intense workouts and lessons in how spiritual fitness involves self-realization and growth in the areas of mind, heart, body, and soul. As you learn about these practices and processes, you'll discover new ways to engage in your workouts, begin to incorporate meditation into every aspect of your daily life, and live with more passion, purpose, and fulfillment. Would you listen to Meditative Fitness again? Why? Absolutely! There is a lot to learn from this book and I know that every time I listen to it I will take something new away from it. What was one of the most memorable moments of Meditative Fitness? The chapter on intention. I have started to apply what I learned from this book to my workouts and the intention chapter comes to mind in every workout. I highly recommend this book to everyone. The contents can be applied to everyday life not just fitness. What made the experience of listening to Meditative Fitness the most enjoyable? As I was listening to this book I was reminded of situations in my life I used this practice and was unaware. I like how the author opens up and lets you into his personal life and the struggles he has faced. This really puts things into perspective. I highly recommend this.